Going to the beach is definitely a fun thing to do, especially when you take into consideration how it is all fun and frolic by the sea, enjoying the sound of the lapping waves that gently tickle your toes as you pick up seashells from the shore. Of course, it can be a romantic getaway, or if you are with your extended family where children are around, a giant beach ball to throw about is definitely worth having. 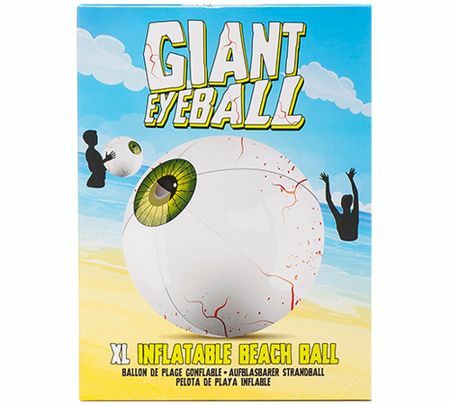 Why not go the extra mile with the $12.99 Giant Eyeball Beach Ball instead? It might just creep some people out at first glance, but at the end of it, it will be a memorable experience for whoever plays with it, that is for sure. At least this is one beach ball that will “stare back”!